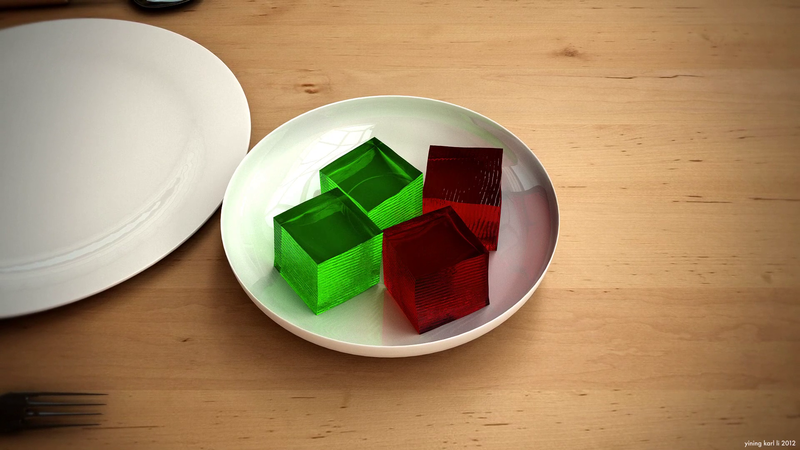 I ported my jello simulation to Maya! 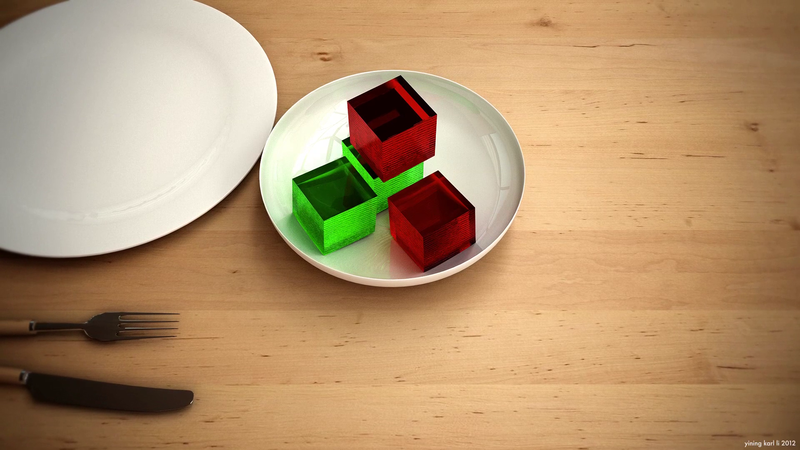 Instead of building a full Maya plugin like my good friend Dan Knowlton did, I opted for a simpler approach: I write out the vertex positions for each jello cube for each time step to a giant text file, and then use a custom Python script in Maya to read the vertex positions from the text file and animate a cube inside of Maya. It is a bit hacky and not nearly as elegant as the full-Maya-plugin approach, but it works in a pinch. 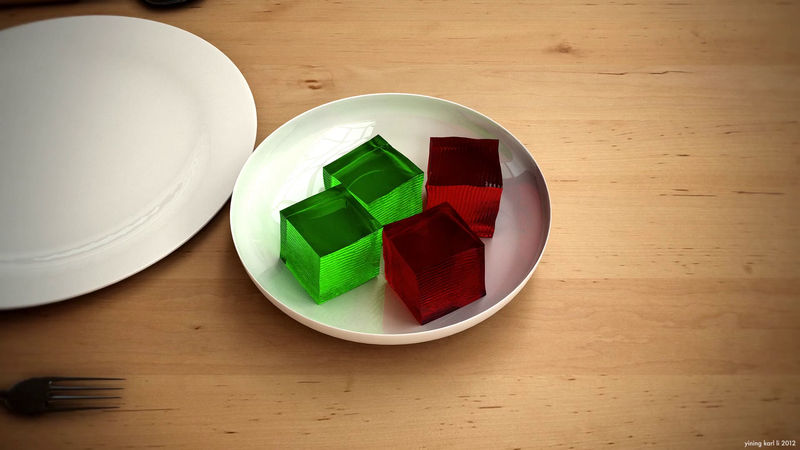 The rendering process I’m using isn’t perfect yet… the fact that the jello cubes are being simulated with relatively few vertices is extremely apparent in the above video, as can be seen in how angular the edges of the jello become when it wiggles. 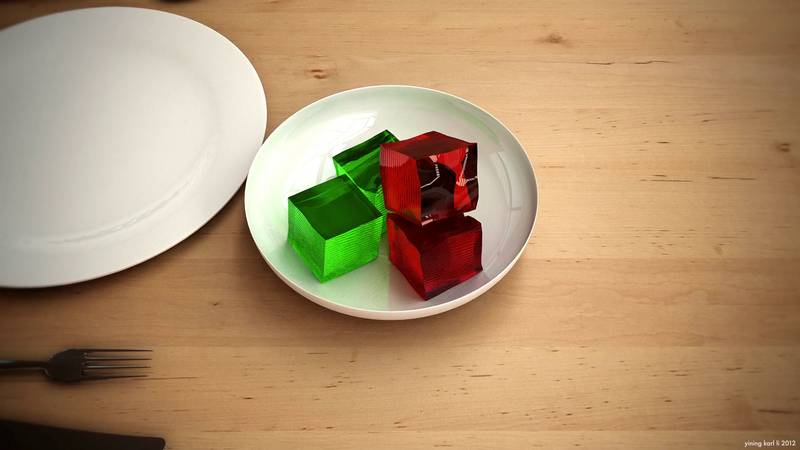 At the moment, I can think of two possible fixes: one, simple run the simulation with a higher vertex count, or two, render the jello as a subdivision surface with creased edges. Since the second option should in theory allow for better looking renders without impacting simulation time, I think I will try the subdivision method forst.